Only 38% of today’s marketers have a holistic view of how customers interact with digital content along their purchasing journey, according to Forrester Research. This means that less than half of marketers are creating content that may or may not produce ROI for their company. It’s basically gambling with content in the online world. Scary, isn’t it? Even scarier is a report from Forbes' Insights that found 69% of CEOs believe they are wasting money on marketing initiatives. The gamble that over half of marketers are taking and their inability to track marketing initiatives from start to close ends up reflecting poorly on marketing as a whole and leads CEOs to think (and, they are probably right) that marketing is a waste of money. Fortunately, this is where closed loop marketing helps to make marketing’s efforts pay off. What the Heck Is Closed Loop Marketing? 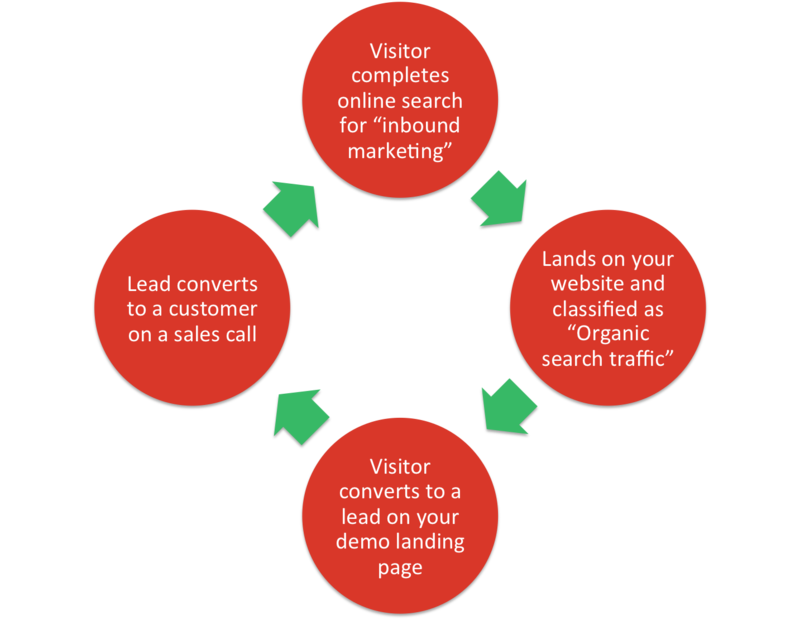 In step 1, the visitor searches online for “inbound marketing” and clicks through to your website. Marketing software tracks the visitors original source so that future ROI can be credited to that original source. In step 2, the visitor finds a call-to-action (CTA) on your website that leads to your demo offer. This is also tracked using marketing software. After filling out a form on the demo landing page, the visitor becomes a lead. 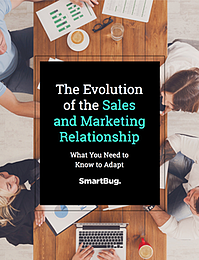 In step 3, sales follows up with the lead, closes the sale and tracks this sale using a customer relationship management (CRM) platform. With this last interaction, marketing can now “close the loop” because they are able to track each touchpoint that led up to the sale. As you can see, there are a few things needed to for closed loop marketing to work. First of all, marketing software like HubSpot is required to track touchpoints in the marketing funnel. In addition, a CRM platform that can integrate with this marketing software is also required to close the loop. Both of these systems provide you with the data you’ll need to close the loop; however, you’ll also need to take it a step further by having the talent to strategically analyze the insights gained from closed loop marketing tools. It isn’t enough to adopt technology - you must, and I mean MUST also have the minds who understand how to take closed loop marketing data and turn it into successful marketing campaigns. It helps you focus on the channels and campaigns that matter most. No more guessing what works. Your future campaigns are informed by past successes and failures. You are able to set the right goals and expectations. Goals and benchmarks like "get X social likes" or "most downloads" can only tell you so much. With closed loop marketing, you can set the "right" goals and expectations. The ones that lead to ROI. It minimizes the cost-per-lead. When you know what channels and campaigns close the most sales, you can stop wasting efforts on those that don't, which ultimately helps lower the cost-per-lead. You are able to shorten the sales cycle. Identifying the touchpoints that are pivotal along the way helps to shorten the sales cycle by removing the noise that may distract or slow down the funnel. It gives you the chance to learn more about your target audience. The insights you gain from closed loop marketing give you the most comprehensive and holistic view of your leads and customers possible. It's not uncommon for companies to assume they know their audience. Closed loop marketing helps to falsify or support those assumptions. You’ll be able to show leadership tangible results of your campaigns. Last but not least, closed loop marketing helps to improve how marketing is viewed by leaders of the company because it shows which channels help make the most profit. As mentioned in the post, some of the things you need to make closed loop marketing work for your company are marketing software, an integrated CRM and talent to carry out a closed loop marketing strategy. 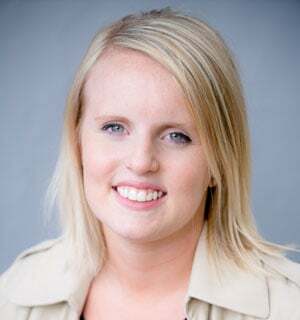 SmartBug is built of a team that knows closed loop marketing and the tools required to make it successful. To get started, request a consultation from our team.